The scale is 1 - 10, with 1 being poor and 10 being excellent. Share this link with your friends, publish within popular social networks or send it via email. 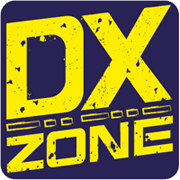 The DXZone is the largest human created and maintained library of web sites dedicated to Amateur Radio, currently lists 20.000+ links organized into 600+ categories. Real Hams review new sites every day since 1998, for potential inclusion in the Directory, and to evaluate the best place to list them.